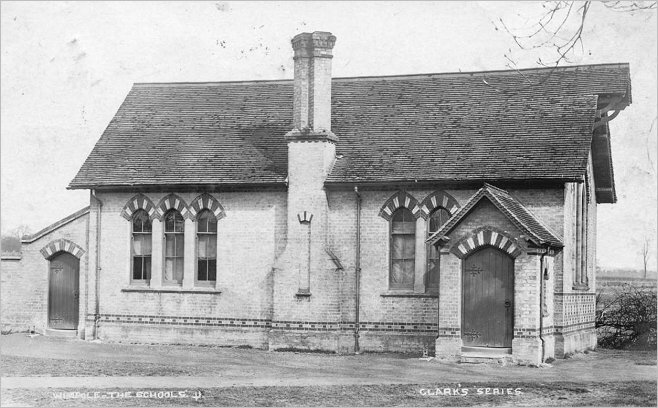 Boy Pupils c1900, Wimpole (C of E) School. 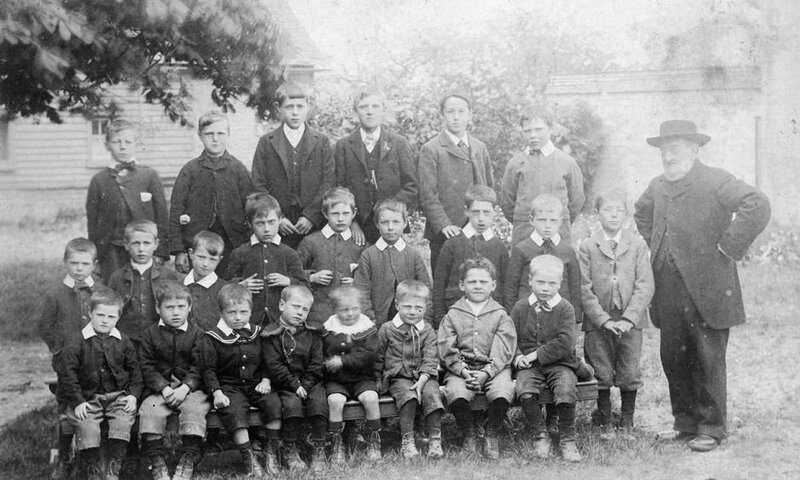 A group of 23 schoolboys photographed at Wimpole School sometime around the turn of the century. I estimate 1900 or perhaps even a little earlier. It appears the boys have been told to come to school wearing their best clothes for the photographer. Standing on the right is Mr Samuel Horsfield, who was School Master at Wimpole for some 40 years. The photograph was taken in 'The Chestnuts', the outdoor playing area of Wimpole School. Behind the boys - to the left - is a glimpse of the old 'Wooden School', in educational use until 1876. 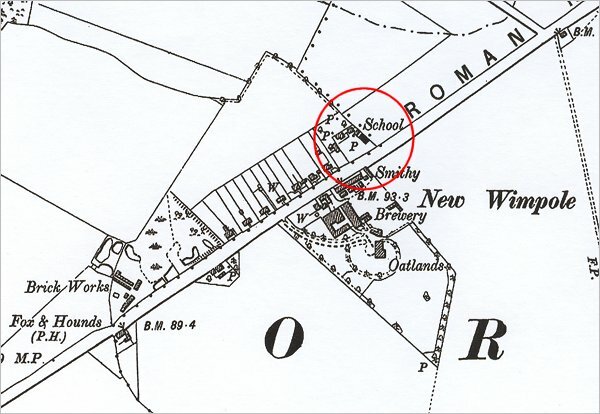 On the right is the corner of 'School House' [now 22 Cambridge Road] where Mr Horsfield lived.